1. Check your car often. 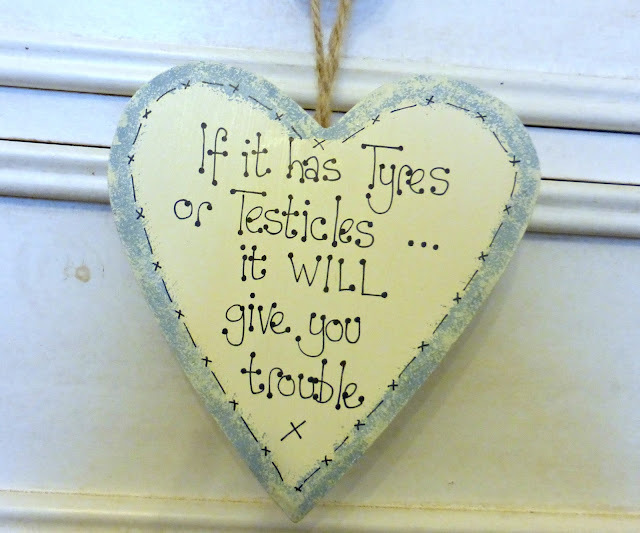 Lets just say brake fluid is essential and it's not so great when the container in your car that contains it decides to burst!!! I also found myself driving back in the fog at night wondering why it was impossible to see and then got home to find one of my headlights wasn't working. 3. Time is getting faster. I know this is something people always say but remember when a year used to feel like such a long time? It's almost new year's eve but I remember my last one so vividly. I find it scary sometimes but it's also a reason to try and enjoy the present and not think too much into the past or future. 4. Blogging should be fun. I've had my blog for almost 18 months now and I'm so pleased I've kept it up. I do sometimes get a bit stressed at not having much material or time to make it as good as I'd like but then I remember that it's meant to be a fun hobby for me to enjoy and everything else that comes with it really is a bonus. 5. Go for it, even if it's a little scary. There are so many opportunities that present themselves to us everyday and I know there's stuff I've turned down because I've been too scared/anxious/worried about it. I've signed myself up to go to India to do some charity work next summer and I am absolutely terrified but I'm hoping it's something I'll look back at and be glad I did. Hopefully, I'll feel like Julia Roberts on Eat, Pray, Love and come back a more spiritual person who knows who they are....or maybe not! 6. There are some particularly good souls out there. The news is always full of depressing stories but we should also remember that there are a lot of lovely people out there. Recently, a family member took ill whilst getting a haircut and despite the salon being stupidly busy, the barber drove said family member home and even rang that evening to see they were okay!! 7. I don't need to wear make up every day. If you had asked me to step out the house without make up a few years ago, I would have point blank refused. I was so self concious about my skin and worried about people judging me, But then I realised how little I focus on other people's skin and never noticed their spots so I figured it must be the same for everyone else..we're all too busy worrying about ourselves! My skin has got so much better by giving it a break and letting it breathe and I no longer care if people do judge. Live your own life! 9. How to be a bit more money savvy. I spent a little bit too much on a trip to London not that long ago. It was the first time I'd been there (yes I know I couldn't believe it took me that long either).. and I got a bit overexcited. Looking at my bank account was heartbreaking so I have since made an effort to stop impulsive shopping. I wrote post about my money saving tips here. 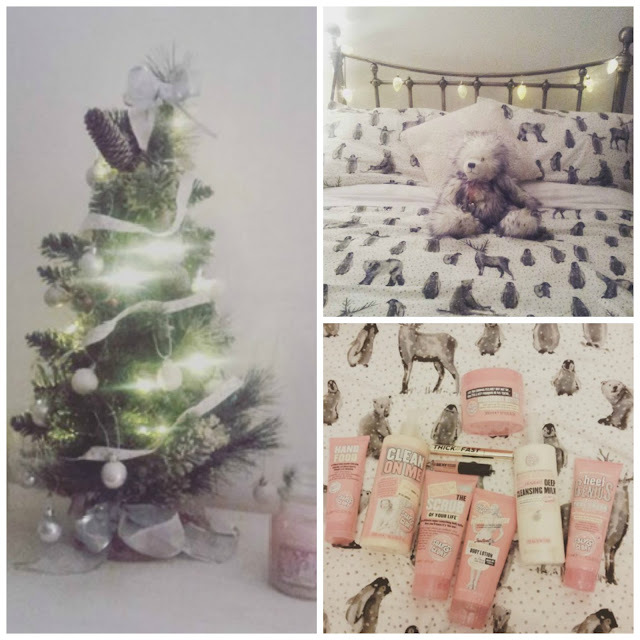 I hope everybody had the merriest of little Christmases yesterday :) Here's a few snaps from my Christmas..
Cosy PJs are an absolute Christmas Eve essential. And it always helps to have a nice cosy bed to climb into! 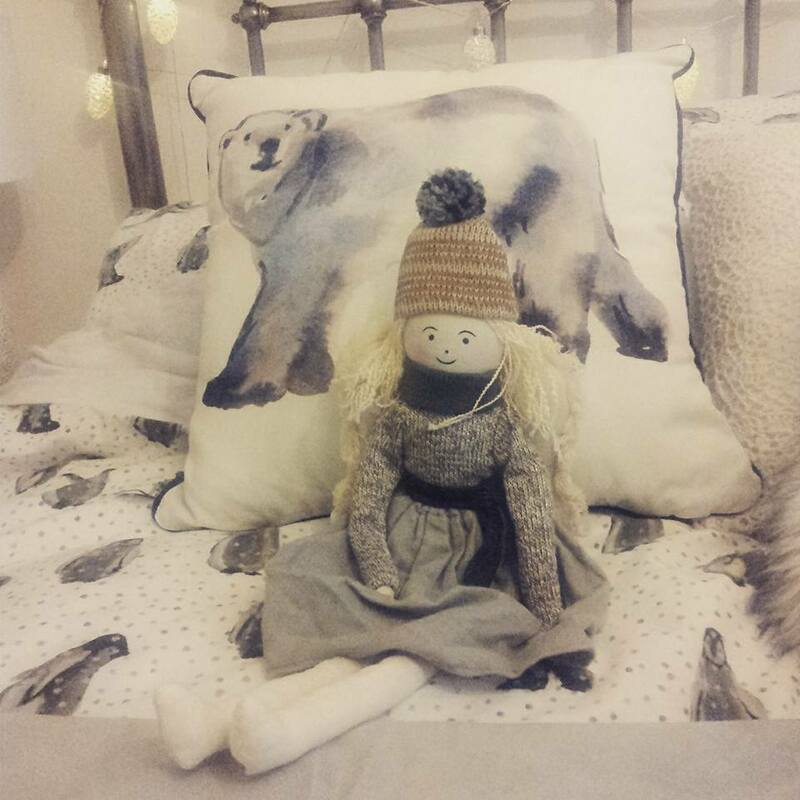 By the morning, my teddy was joined by this lovely Christmas Angel, bought by my mum, along with a polar bear cushion to match my winter bedding. I used to hate going into home decor shops when I was little but now I am almost obsessed with making rooms look pretty! 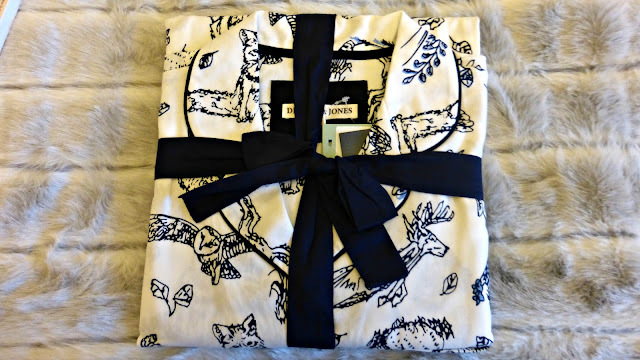 After exchanging gifts, I got changed into this outfit which I love and am trying to get as much wear out of before Spring arrives! Whilst the turkey roasted, we watched films and ate too many nibbles - I had promised myself I would be a bit more sensible this year, but of course that failed miserably. You know how it is! 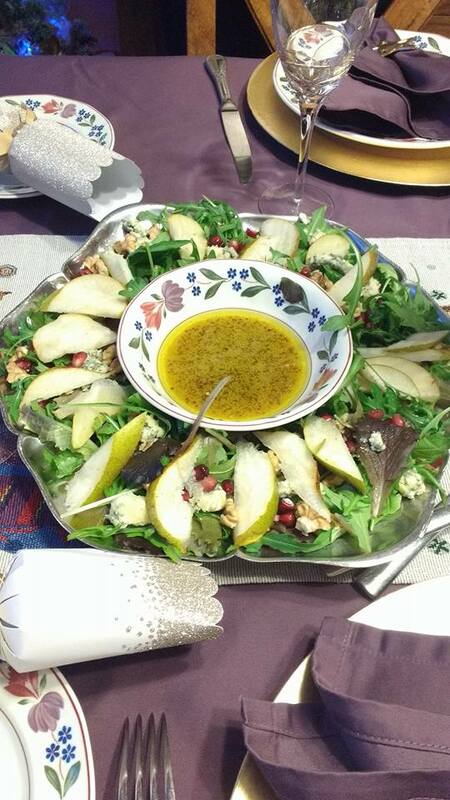 My mum is a fabulous cook and made this Christmas Wreath salad for starters along with smoked salmon terrine mmmm.. definitely one for philadelphia lovers! The main event was amazing as always! 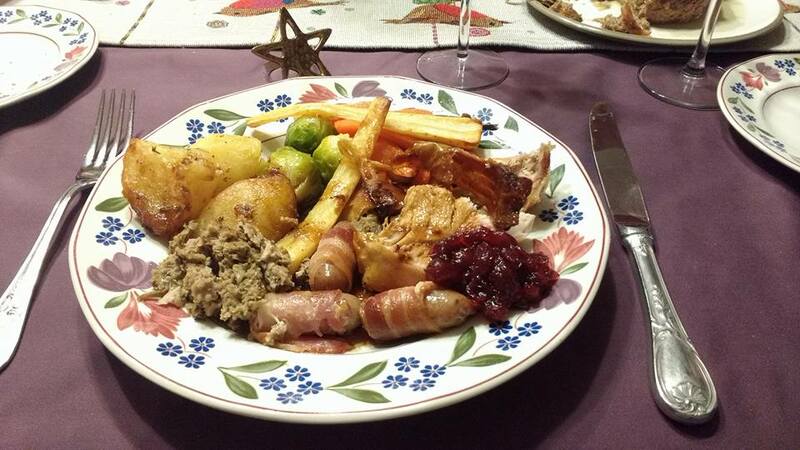 We've always eaten at home on Christmas Day and I wouldn't have it any other way. All the best for 2016 everyone!!! My brother and his girlfriend have come to visit for Christmas so we all decided to go to York for a spot of Christmas shopping. It is the perfect city for getting that festive feel as there's always lots of German market stalls dotted about the cobbled streets. 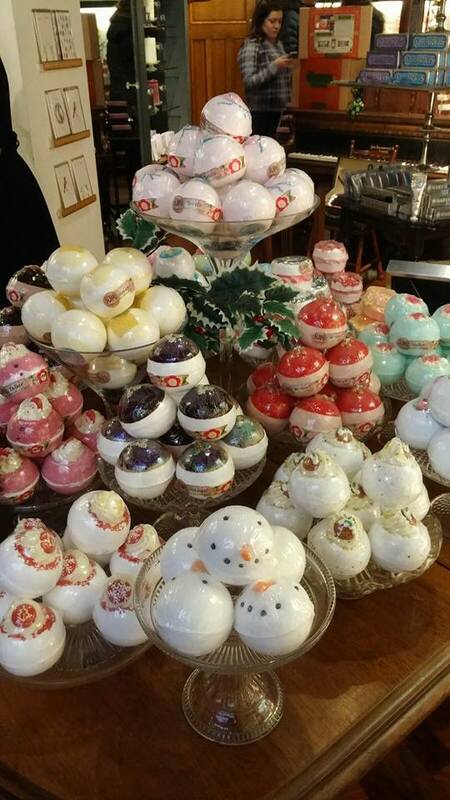 We soon found ourselves in the Yorkshire Soap Company's shop as the lovely smells and Christmas music drew us in. 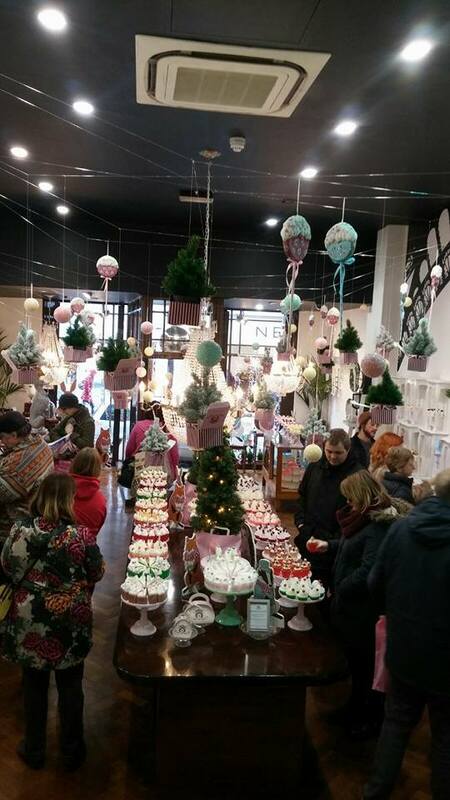 They sell bath bombs, soaps and candles as well as body lotions etc. I loved how their products looked like little cakes :) People were walking round with silver trays where you could place the bits you wanted to buy. They have so many different scents that you're bound to find something for everyone. Whether or not you want it to have a festive theme. 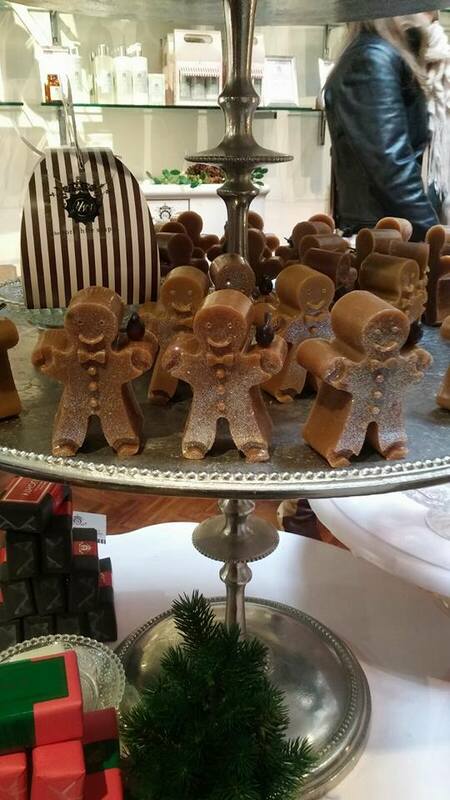 I thought these little gingerbread men soaps were adorable. I was on a mission to smell absolutely everything! Anything with lavender tends to be a winner with me. 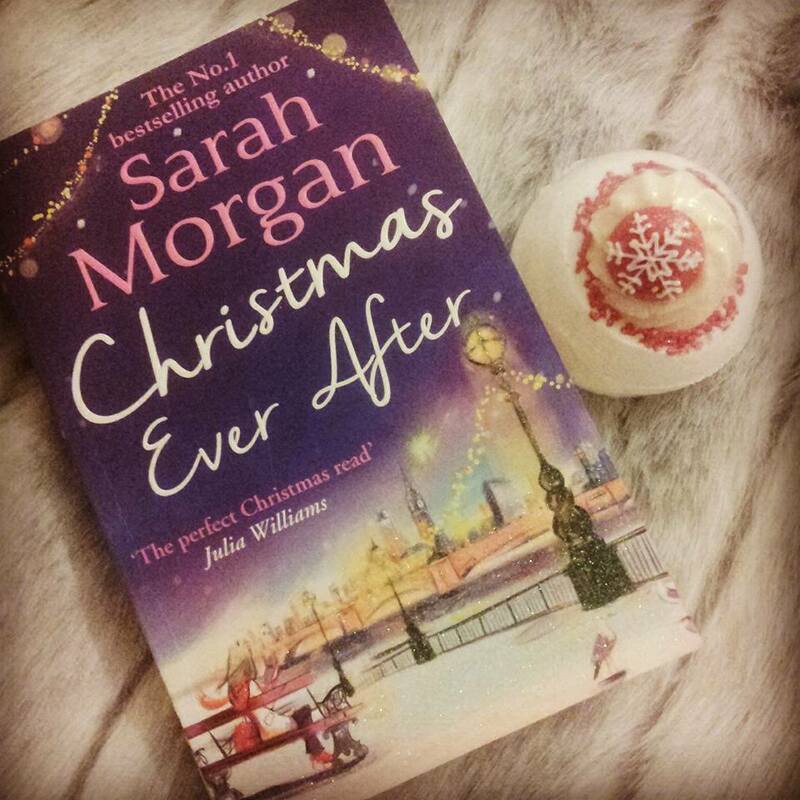 But in the end, I went for a Christmassy bath bomb which I'm trying to save for Christmas Eve. The snowman heads were comical but I liked the scent of the ones to the left of it better, with a little snowflake on top! I've just had a quick google and it turns out you can buy their stuff online, so here is the link if you're interested. 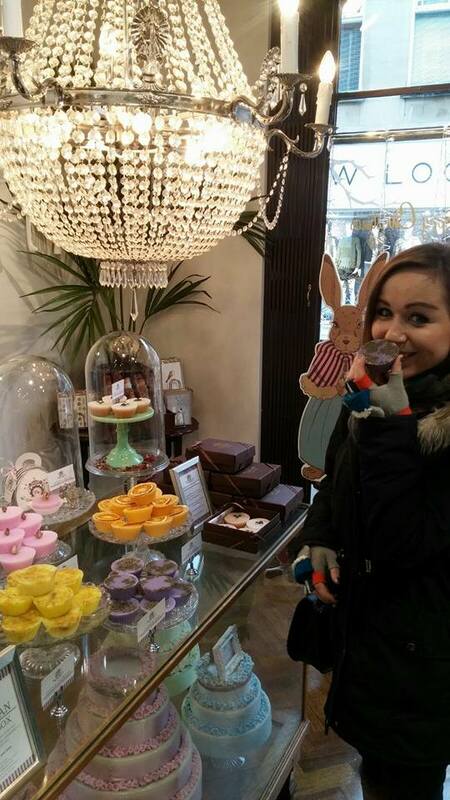 I thought it was such a nice shop that I wanted to share it in case you find yourselves in York! 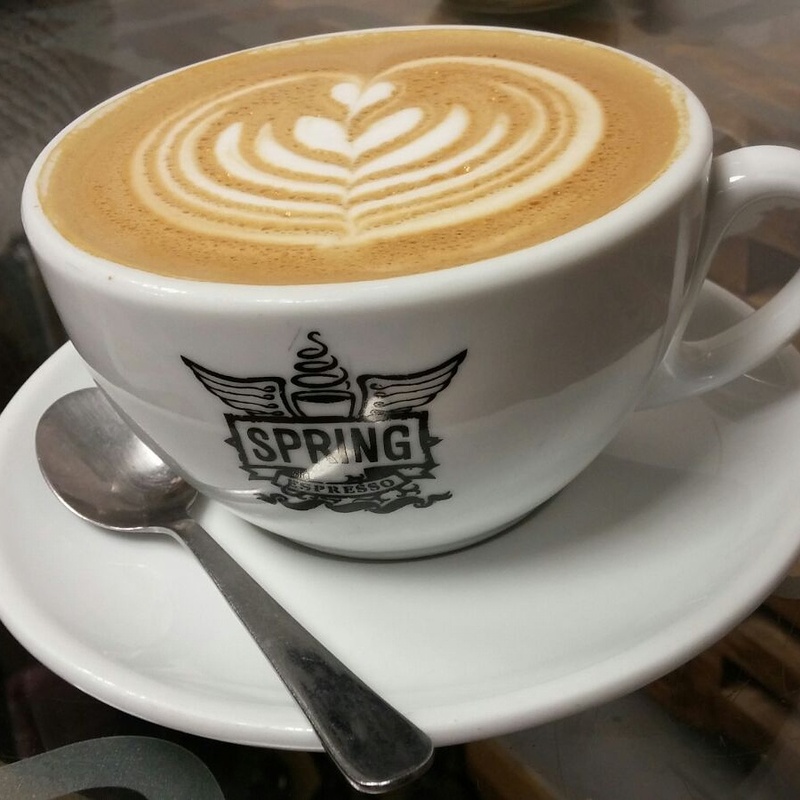 After a bit more shopping, we stopped at Spring Espresso to refuel. 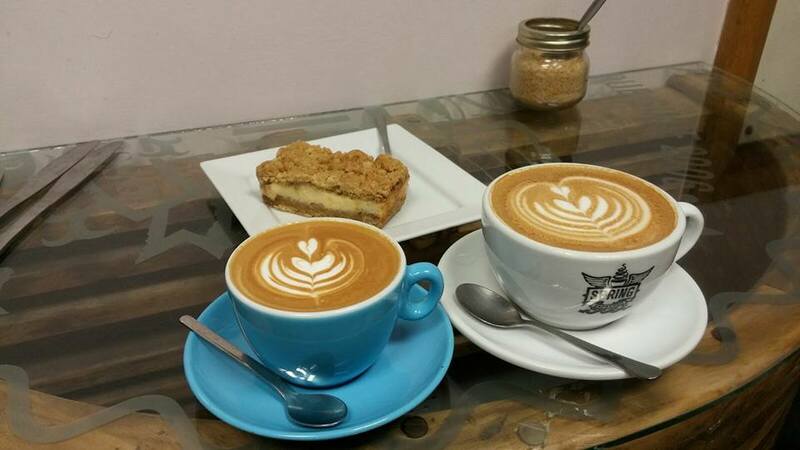 I'd never been there before but turns out they do excellent coffee and have won awards for it - a hidden gem! 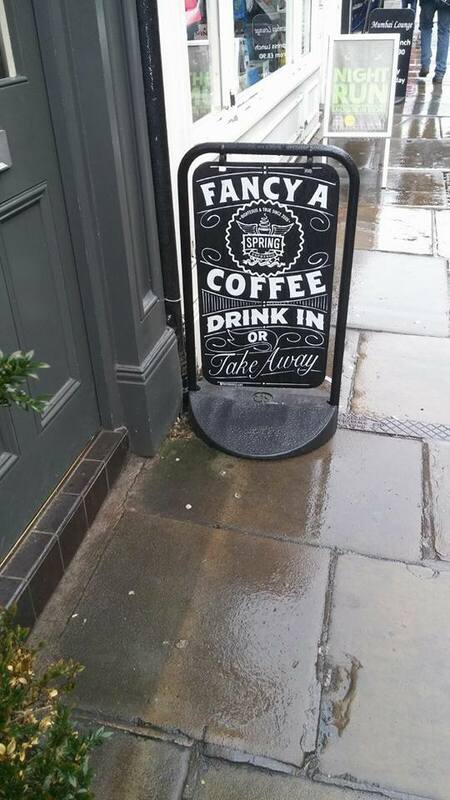 You can't beat a hand warming drink in December! 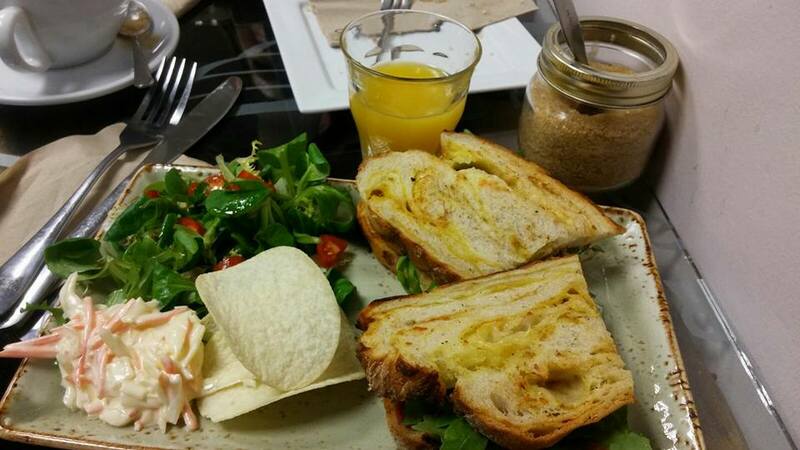 The food was amazing! I was actually really impressed with their selection of baked goods. There was more than this but nobody could resist long enough for me to take more photos haha. Anyway, I feel like this post was pretty random but I felt like these two places were good finds and highly recommend you stop if/when you visit York! Have you found any hidden gems in York? I know these posts are a little controversial and can be seen as bragging, but I like to read them and I'm also so thankful for everything that I got that I do want to show people :) Also with Christmas coming up, you might get some last minute gift ideas. 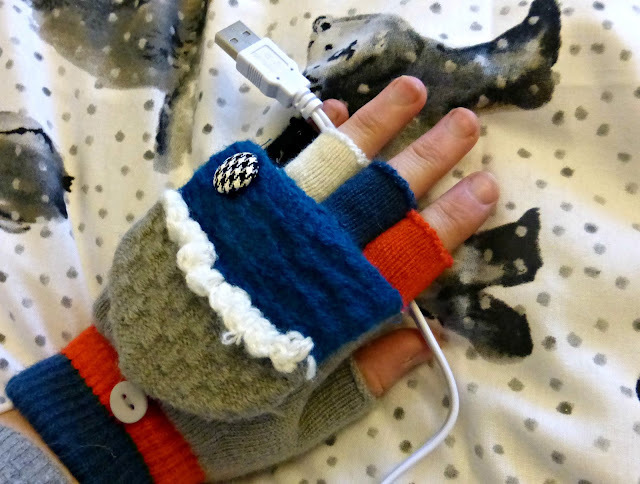 I always have cold hands so my friends got me some gloves that you can plug in and there are little heat pads inside of them that heat up! I had no idea they existed but I now feel lost (freezing) without them. I love the colours and the cute little button on them. 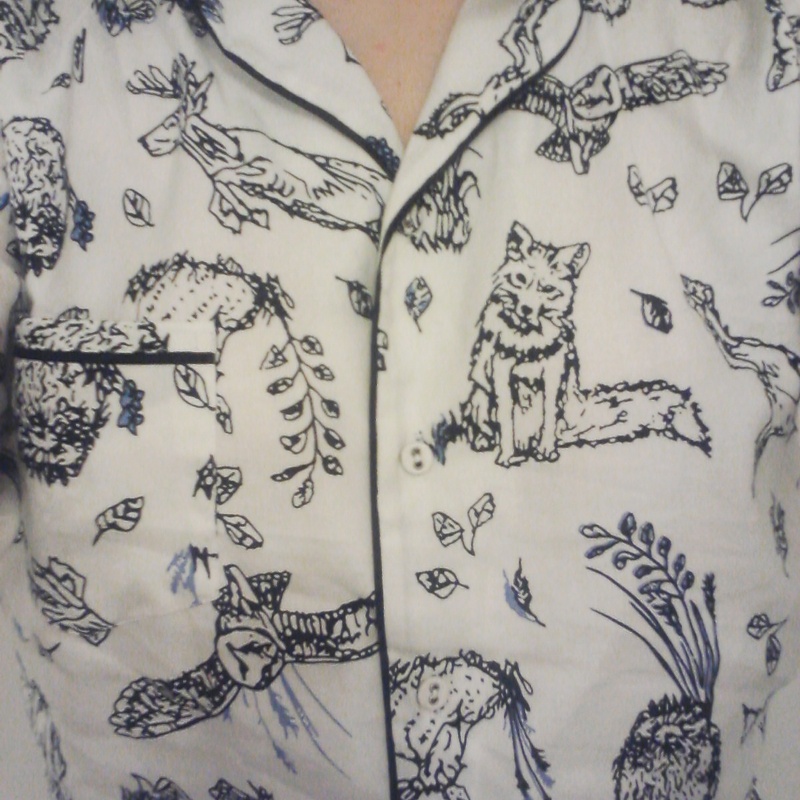 You can never have enough cosy pyjamas, especially at this time of year so I was over the moon to get two this year. The top ones I picked out and are from House of Fraser. I am a sucker for owls and stags. 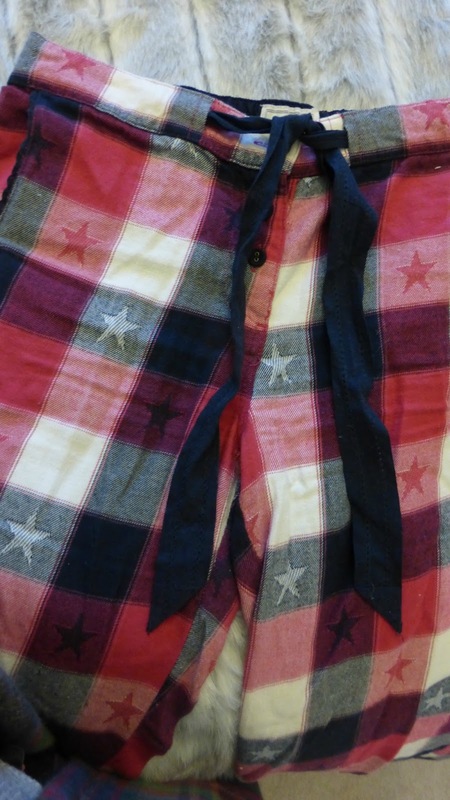 And then Tom got me these ones from Fat Face which is one of my favourite shops but often out of my price range. The stars give them a festive feel without being so Christmassy that I can't wear them all year round - which I will be! 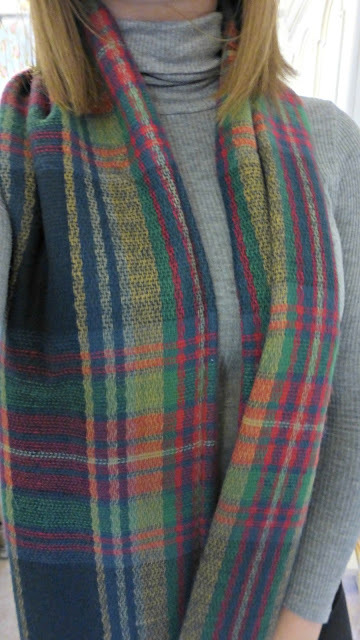 This gorgeous scarf is off one of my gorgeous friends :) It's from Accessorize which is also another favourite shop of mine. Patterns like this are timeless so I'm sure I'll get plenty of use out of it. 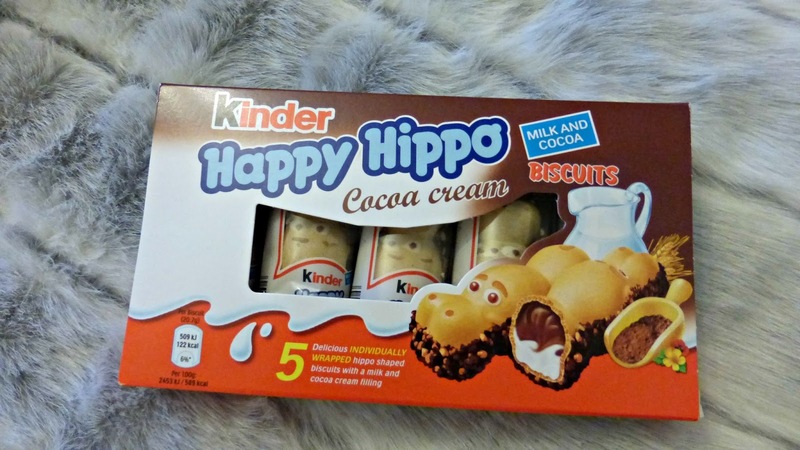 I was actually looking to buy one of these for one of my friends so I know you can get them from Paperchase but also online. 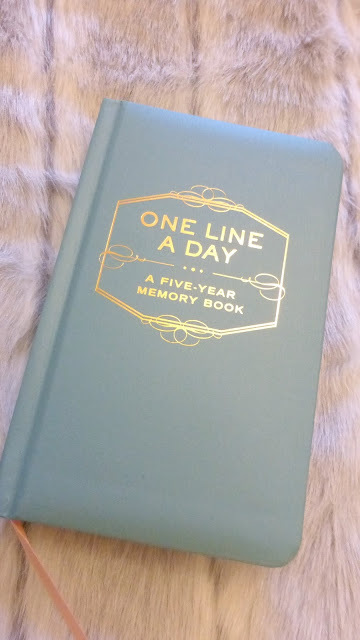 I've tried writing diaries in the past but then worried about being too open and people reading it so I like how this one only requires you to write one sentence every day. I guess then I can say enough to trigger my own memory without giving too much away if anyone else had a nosey. It'll be nice to look back at over the years and I love the shade of blue it is. I'm at an age where I've realised a quick going over with a wet wipe is just not enough skincare wise. I love getting skincare products so I was over the moon to get this box from my brother and girlfriend. 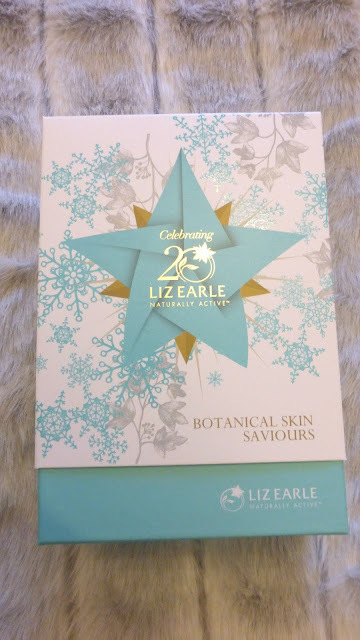 I've only every tried the hot cloth and polish cleanser from Liz Earle and I loved the smell so I'm excited to try out some of her other products. 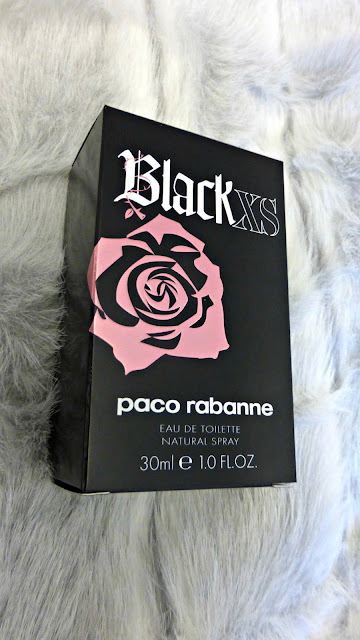 Black XS is a scent I always find myself going back to . I'm rubbish at describing smells so I'm not even going to attempt to but if you spot this in a shop, have a spray because it really does smell sooooo goooood! 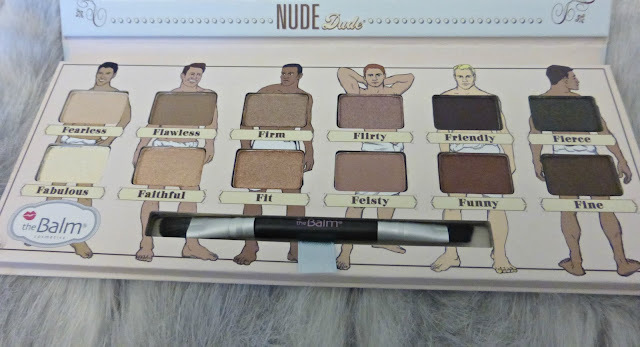 I've never tried anything from The Balm Cosmetics but I've always loved their packaging and found myself picking their stuff up and then reluctantly putting it back on the shelf. 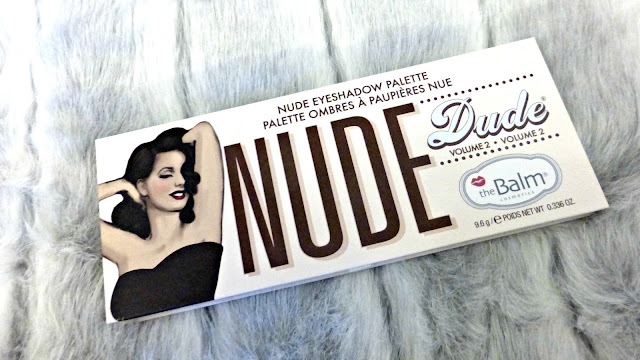 All the shades look very wearable so I'll have fun playing with different looks with this. 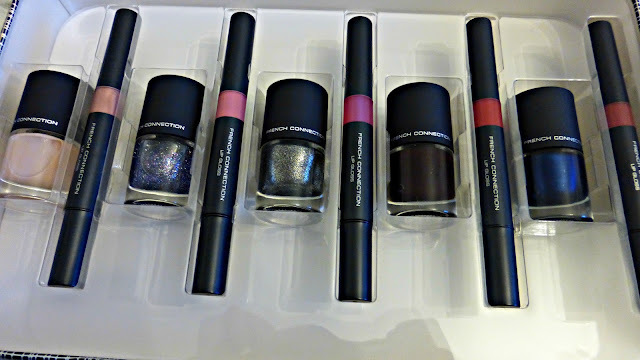 This French Connection nail varnish and lip-gloss set has a good range of shades for all occasions and I'll definitely be using the sparkly ones over Christmas! I've only just started to wear stuff on my lips so I'm excited to try all of these out. I think people know me far too well! 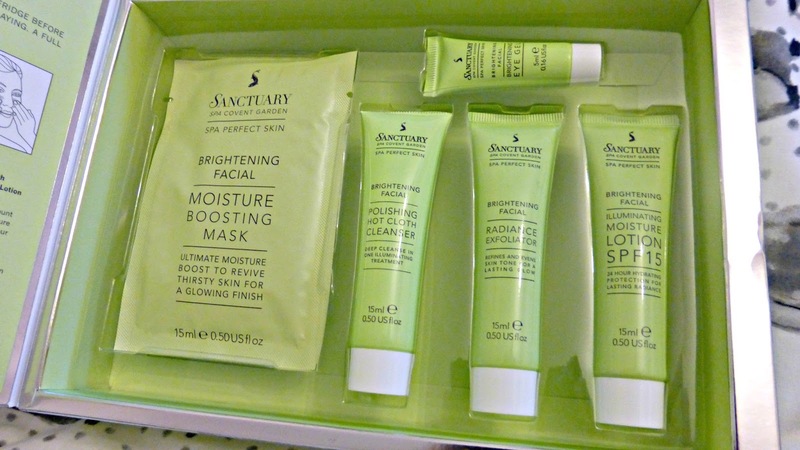 More skincare goodies yay :) I'm going to keep this set for a pamper night in I think. It contains everything to be able to do your own facial! 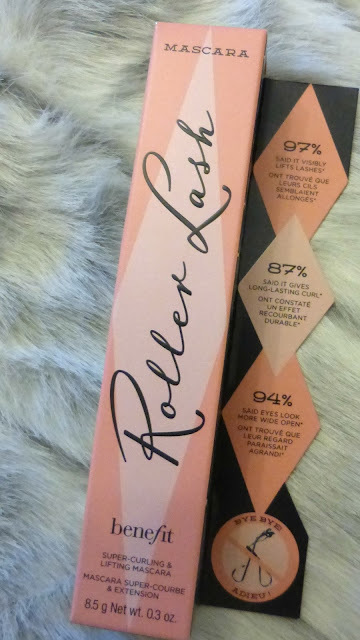 This mascara has been my favourite of 2015 and will probably stay that way next year too! And finally, I just wanted to share this cute Nutella recipe book I got. I have been known to eat the stuff straight from the jar with a spoon...and I mean eating like half of it at a time, not a few mouthfuls. I'll post some of my favourite recipes on here as I work my way through it :) My first attempt is already chilling in the fridge and I've not even had this 24 hours!!! 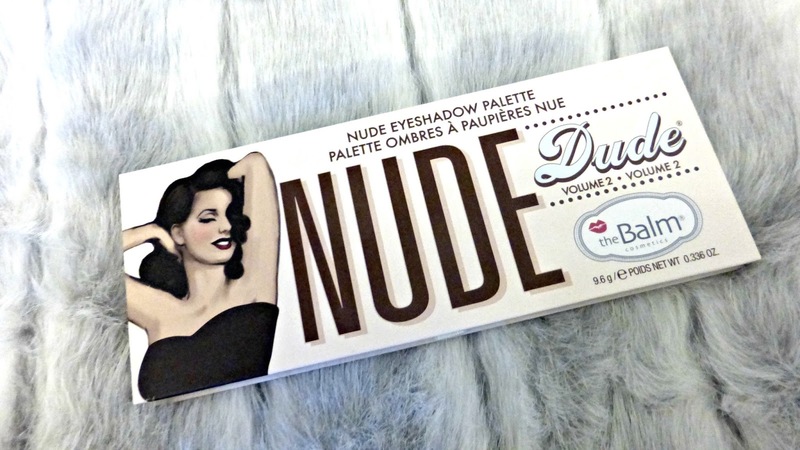 I am so happy to have a spare bit of time to myself to write a post. It has been a while now! Sadly, I forgot my charger for my camera when I came home for Christmas so I'm afraid these pics are just from my phone- sorry! Last weekend, Tom and I decided to make some iced Christmas cookies to share with friends. We used this recipe, which is ironically called Easter Biscuits but never mind..it worked! We left out the cinnamon and currants though and just stuck to vanilla essence (so actually we forgot to put that in but I recommend adding a drop or two!). For more festive bakes, have a look at the melting snowmen I made last year! 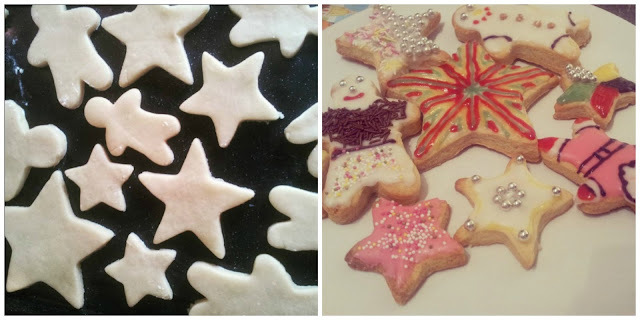 Both are the sort of biscuits you made in primary school and they bring back so many childhood memories making (and eating) them. 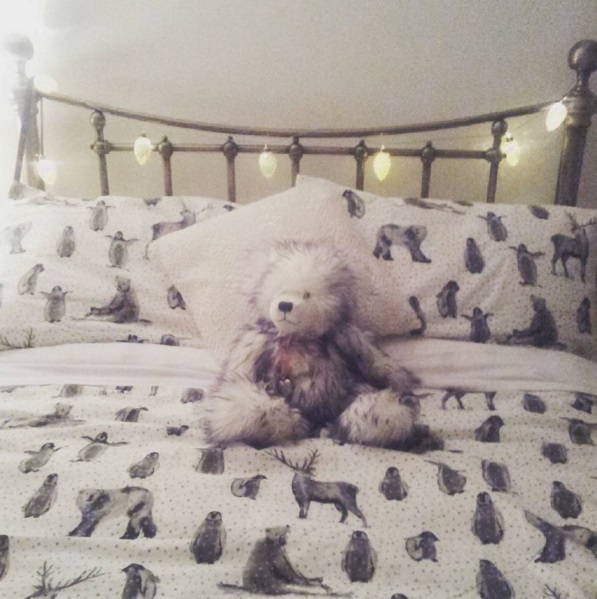 I drove home for Christmas on Thursday and walked in to my bedroom to find my parents had got me a brand new bed, bedding and fairy lights as an early birthday present. 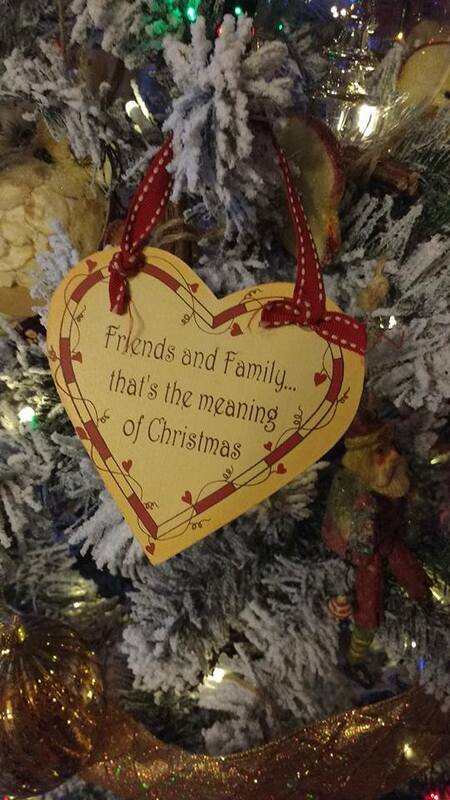 My mum also got me a little Christmas tree which I am in love with!! The bedding is from Asda, who apparently have a fair few festive designs out at the moment. 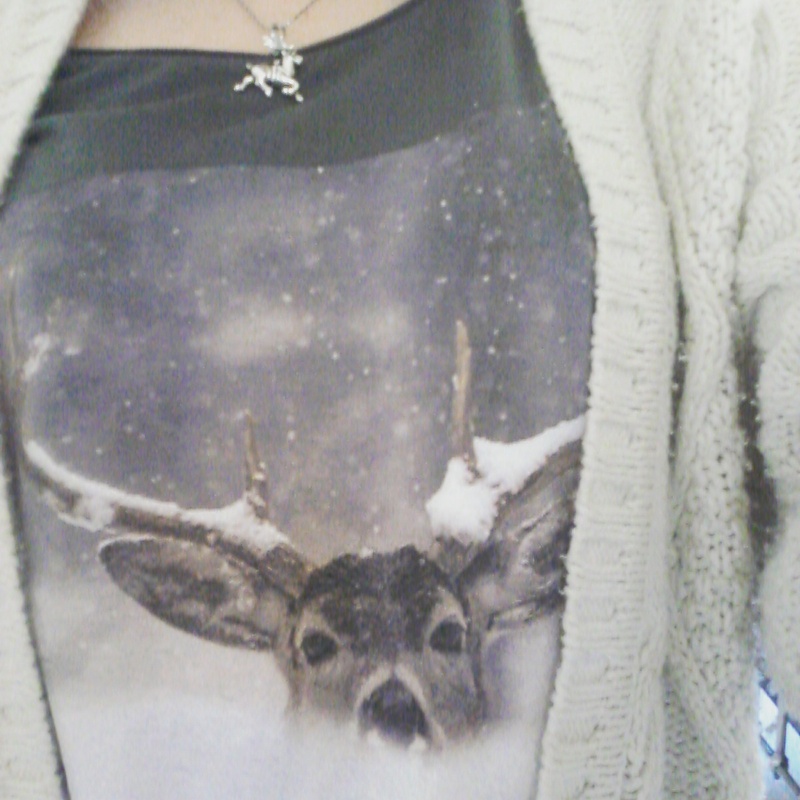 I love how it's Christmassy without being too tacky. Just a nice subtle nod that says "yes, it's winter." The fairy lights that you can just about see are little pine cones, made from silver and white glass! They're so cute! 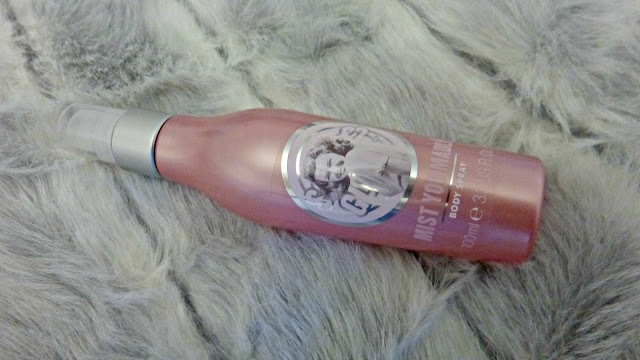 Finally, I just wanted to mention a little something I treated myself to; the Soap and Glory Box! You get 9 full size products for £30 which I think is an absolute steal when you think how much the products are individually. 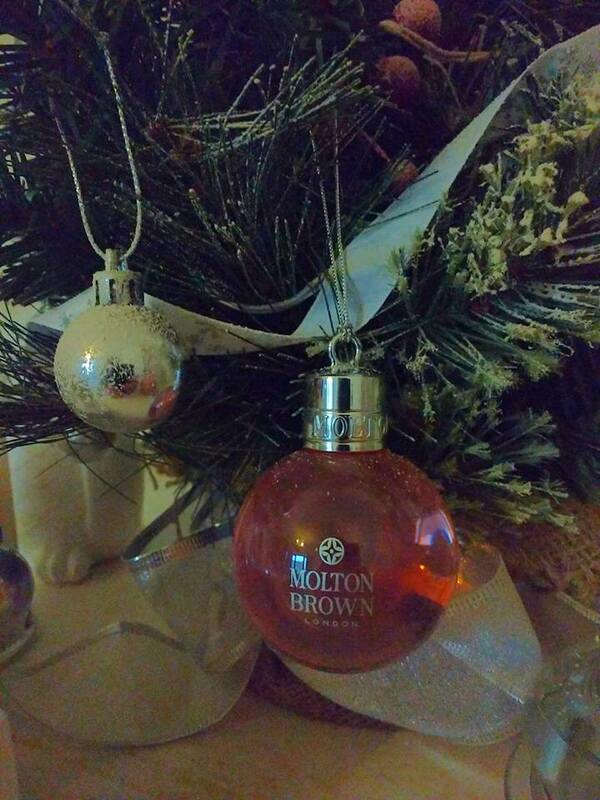 I got one last year and I still have some left over - it really is fab! You can find the link for it here. 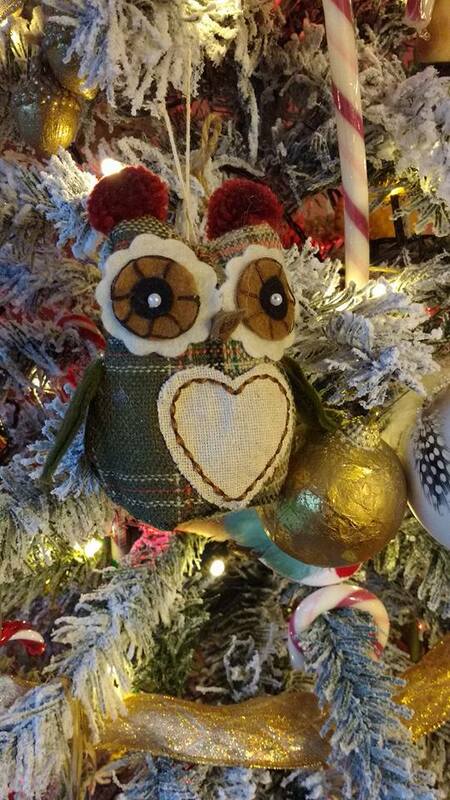 What have you been up to over the festive build up? Let me know in the comments below or send me links to any Christmassy posts! I'd love a read!